Sang Yoon is the chef and proprietor of Father’s Office gastropub and Lukshon restaurant in Los Angeles. He is also the chef/partner of Two Birds/One Stone in St. Helena, California. Yoon began his career in fine dining in Michelin-starred kitchens of Paris, New York, and Los Angeles including work at Chinois on Main. Later he went on to become executive chef of Michael’s, Santa Monica’s famous dining destination for contemporary California cuisine. In 2000, Yoon struck out on his own by renovating his favorite local dive bar, Father’s Office, where he trailblazed the gastropub movement in L.A. Father’s Office is critically acclaimed for its signature craft brew selection of over 55 local, small-batch varieties. The proprietary “Office Burger” has been hailed as the country’s best burger by the TODAY show and Esquire magazine. Yoon has been profiled as a craft beer expert in USA Today, Food & Wine magazine, and National Public Radio. He was also featured as a guest judge on Bravo’s Top Chef, along with starring as a competing chef on Top Chef Masters. February 2011 saw Yoon’s return to fine dining with the debut of Lukshon, a modern restaurant dedicated to traditional, creative Southeast Asian flavors. Lukshon is named one of the top 5 restaurants in Los Angeles from venerable food critic Jonathan Gold of the Los Angeles Times. In June 2016, Yoon opened Two Birds/One Stone, a restaurant project in California’s wine country alongside chef Douglas Keane. 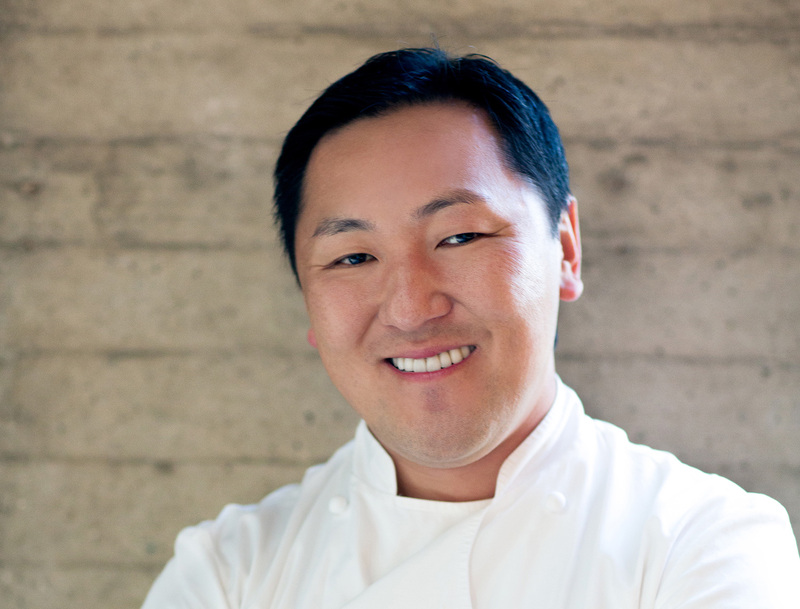 Chef Yoon will debut his third Father’s Office concept in downtown Los Angeles in early 2018. Jim Fox, Former LA Kings player and cofounder of Patiné Cellars will be our special guest. Patiné (pa-tee-nay) means to have skated in French; an act that requires both power and grace. Jim’s career as a professional hockey player was defined by the game that requires strength, endurance, structure, balance, elegance and skill. Winemaker, Mike Smith, has a purist approach to winemaking that promotes the fruit to fully reveal itself in his wines while showcasing the personality and terroir of the vineyards to their fullest extent. “Wine is about the art, the process and the creation, as much as it is about the results. It brings the day-to-day challenge of striving for the best but also offers the artistic element of working alongside Mother Nature.” — Jim Fox.